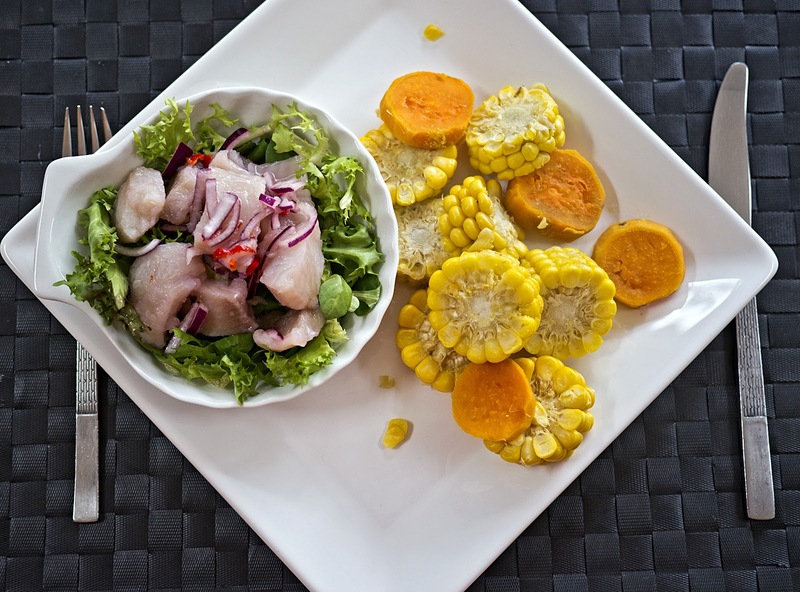 Last time I ate ceviche was in a Peruvian restaurant in Panama – somewhat random eh? I have never made it at home, so I thought I'd have a go as part of my 'international week'. 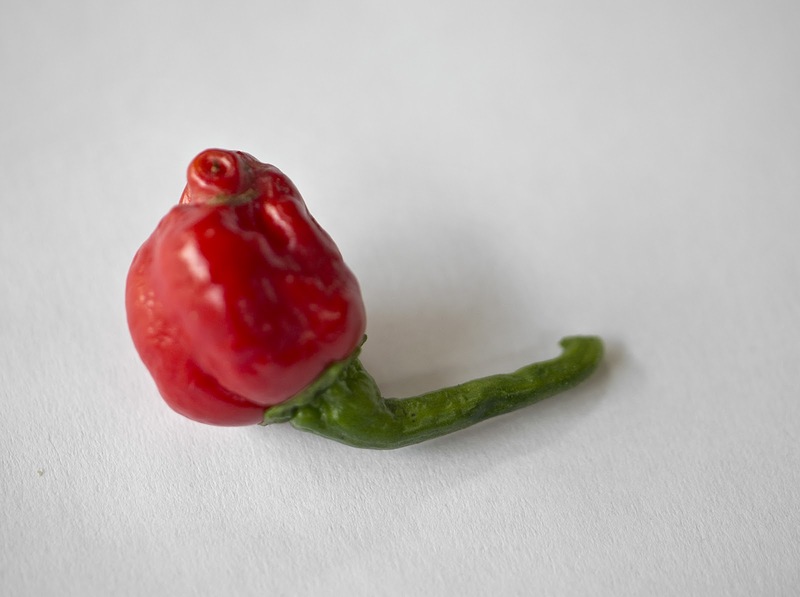 I used one of my own, home-grown habareno chillies, and boy did it pack a punch! Unless you like you food fiery, you may wish to use a less potent chilli, or leave it out entirely. 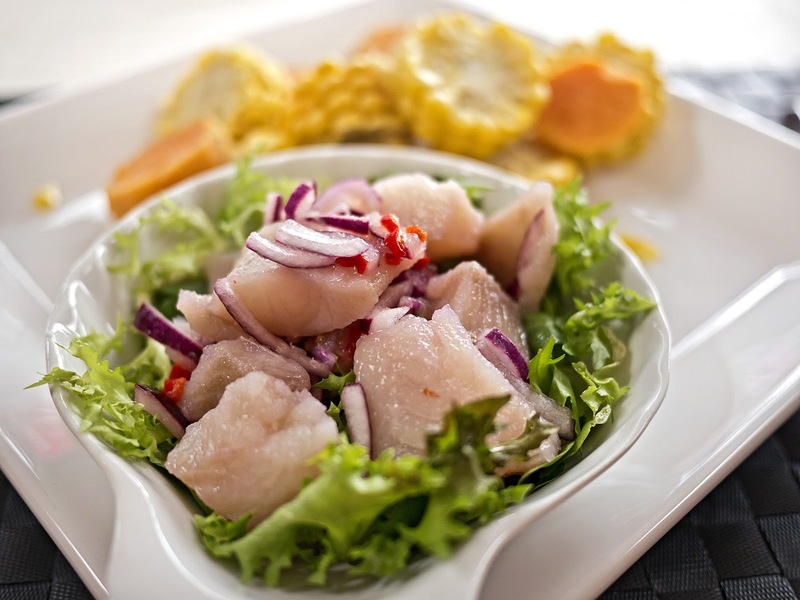 Ceviche is a dish where fish or seafood is 'cooked' by marinating it in lime or lemon juice and eaten 'raw'. Make sure you only use the freshest of fish fillets for that reason. You can use other white fish if you can't find tilapia. 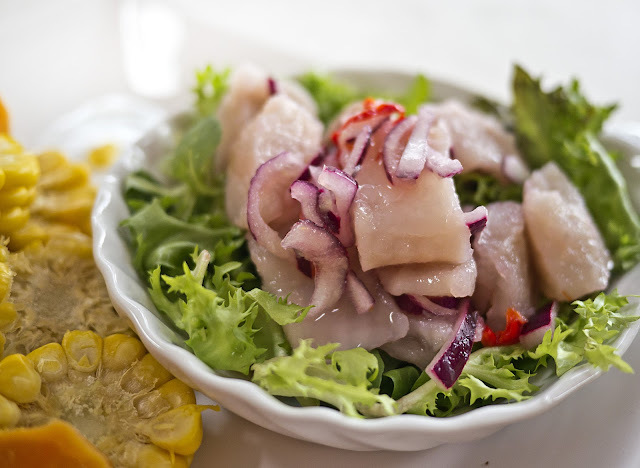 In a large bowl, combine the fish, lime juice, chilli and onion. Cover and refrigerate for 20 minutes. Meanwhile, peel the sweet potato and cut into slices. Slice the corn and boil both for 5-7 minutes until just tender. 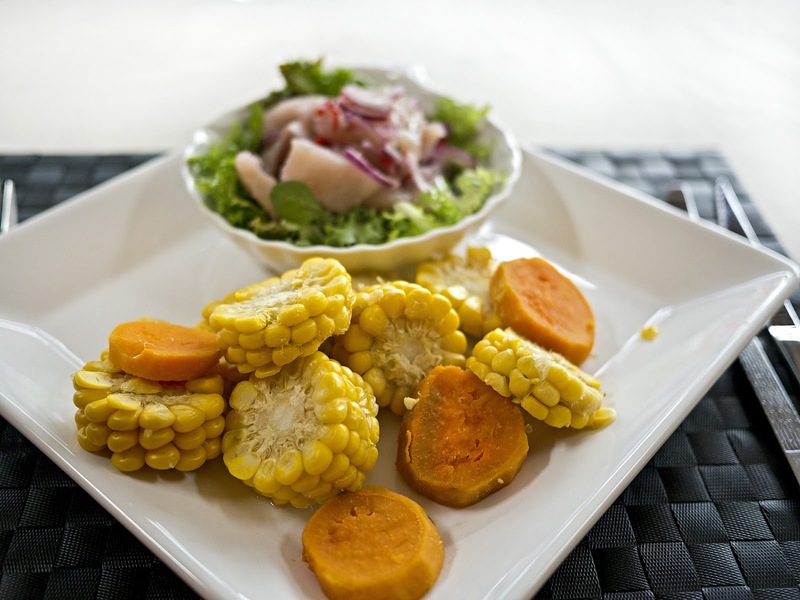 Serve the ceviche over the salad with the corn and potato on the side.